Hi! 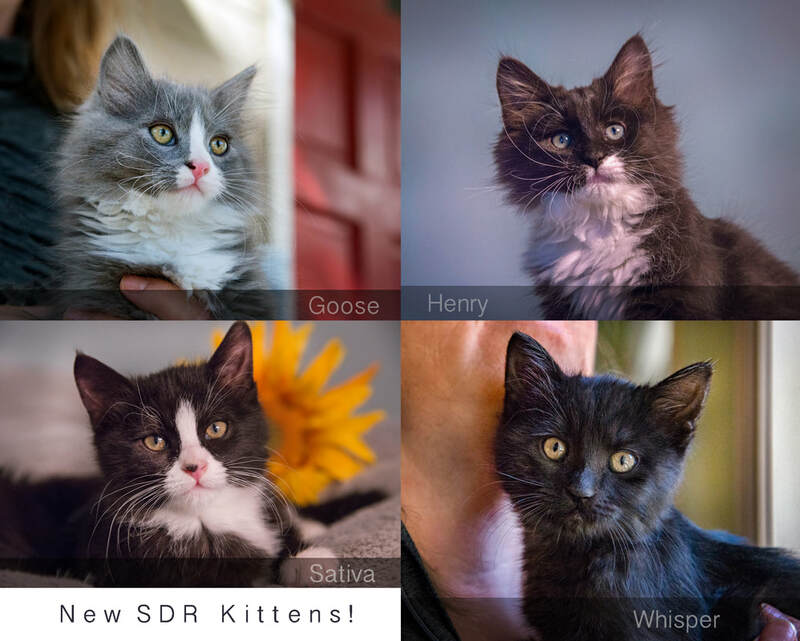 We're the dynamic snuggly kitten team and we're all looking for our forever homes! You can see how adorable and sweet we are from our pics, and like all kittens, we're ready to roll anytime you bring out a feather toy, and ready to curl up in a nap nook or preferably your lap when it's sleepytime! We were all born on August 16, 2017, and our mom Poppy Kitty took really great care of us. Now it's time for us to go our own way in life! We are all very sweet, friendly and very playful. We've been raised with four dogs anad two older male cats. Our foster mom says, "Aster and Thistle are a bit more reserved, but still love attention. Yarrow has been a hard one to get pics of. He's constantly on the move, so usually is a black blur in the pic." Summit Dog Rescue is encouraging potential adopters to adopt a couple of us at a time, just so we'll have a handy playtime pal when we go to our new homes! But don't hesitate to send in an application if you only have room for one -- Hey, we're just happy to have a good home! If you want more snuggly cuddliness in your life, not to mention the loads of laughs that kittens always bring, go to the top toolbar, click Adopt, click Kitty Application, then fill it out and send it in. A nice volunteer from Summit Dog Rescue will get back to you as soon as they can.